Angela calls the last number on Lobos's burner phone and Sandoval answers but doesn't speak. Sandoval finds out that Hugo is dead and goes to search his apartment. Knox catches him exiting the apartment. 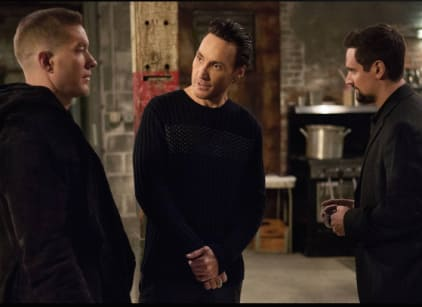 Ghost comes up with a plan to get Ruiz to expose Milan at a meeting, using Knox as well. After Ghost tells Tasha about his plan, she tells Tommy. He takes it upon himself to then kill Ruiz, knowing that Ghost has once again lied to him. Kanan continues hanging out with Tariq and convinces him to steal a pair of sneakers. Ghost has Julio plant drugs in the club across the street, causing the owners to get arrested, so he can get the deal with Karen Basset back.